On a weight loss diet? 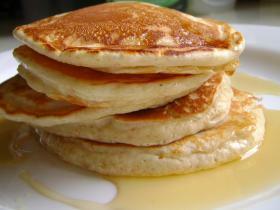 Enjoy Blissful Wellness high protein pancakes for breakfast. A great way to start your day! Combine pudding mix and egg beater and mix until blended; water is optional for desired consistency. Cook on low heat like you would for a normal pancake and get a delicious low carb, high protein pancake!